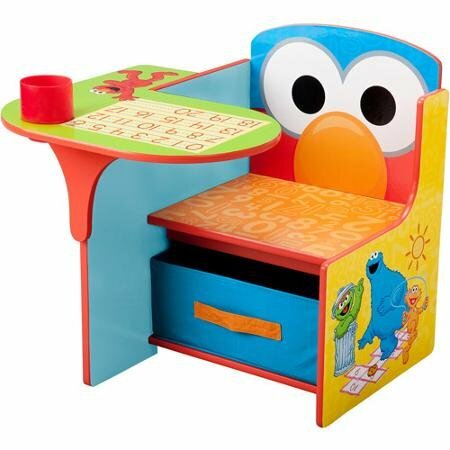 Multicolored Elmo Kiddie Chair with Writing Desk, Cup Holder and Pull-out Storage Bin - Weight Capacity: 50 Lbs; Age Range: 1-1/2 to 5 Years Old by Delta Children at Indsight. Hurry! Limited time offer. Offer valid only while supplies last.